Mined diamond prices are now set by market forces of supply and demand, and have been since 2005. The famed DeBeers monopoly, which lasted from the early 1900's until 2000, ultimately ended up costing DeBeers more than it was worth. DeBeers market share peaked in the 80's with roughly 90% market share but had dropped to 60% by the late 90's. From 2000 - 2004, DeBeers liquidated their entire stockpile that has been used to stabilize and raise the price of mined diamonds. 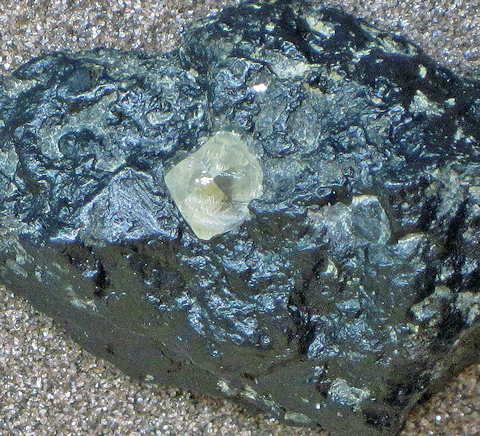 Among other expenses, tracking insuring, and storing $5.5 Billion worth of stockpiled diamonds when interest rates were at 10% was ultimately costing them roughly $500 Million per year...along with having to buy excess diamonds when diamond prices were trending down or in years where production increased, which was affecting their own ROI (return on investment, or use of their company's funds) negatively. 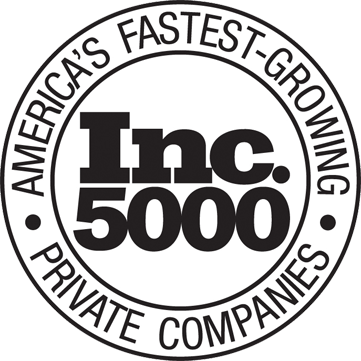 Thus they decided a better ROI was in branding and marketing their own diamonds, and after liquidating their stockpile started the ForeverMark diamond brand in 2007. The liquidations also allowed them to settle with US authorities and open their ability to directly sell into the US market as well, an additional bonus. Final settlement occurred in 2012 with a $295 Million settlement, and an agreeement to not violate any US anti-trust laws going forward. Source and credit: WWW International Diamond Consultants Ltd, Gem Certification & Assurance Lab, Price Scope, and Paul Zimnisky analysis. (Pricing is relative to 100 starting point at 1987). 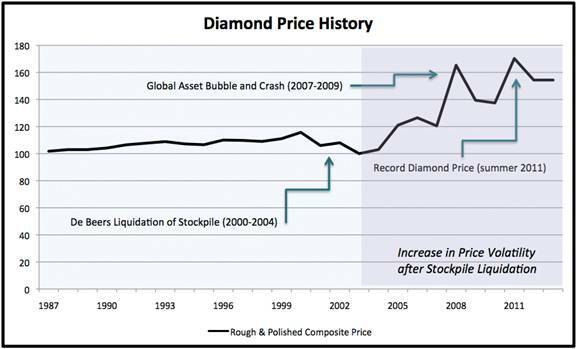 The stockpile liquidation caused a slight dip in diamond pricing as shown above, but ultimately diamond prices went on to record highs by 2011. Since then diamond prices have been on a slow decline overall, but it's important to realize that any claims that 'diamonds prices are artificially controlled' are no longer true. Ultimately, larger mined diamonds (1ct+ and especially 2ct+) are rare in Nature and quite hard to do even in lab grown diamond. Thus, the price and value of diamonds (lab grown or otherwise) is truly set by market forces of supply and demand, not artificial scarcity.